White With Grey Orphrey Gold Blue and Grey Crosses Funeral Pall. 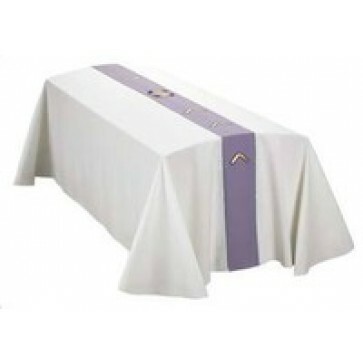 This finely tailored funeral pall is unlined with rounded corners and is finished with a bias tape hem. Available in 3 adult sizes: 6" x 10", 7" x 11", and 8" x 12". We recommend using a memorial label to personalize donations given in honor of loved ones.